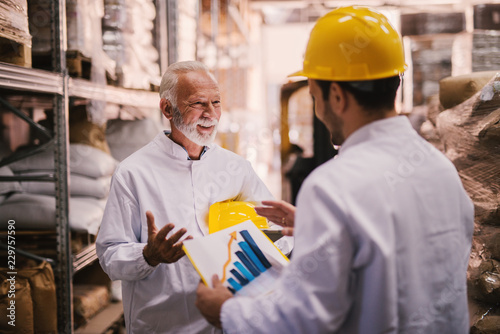 Picture of two male warehouse employees talking about trade success of their storage. Standing in warehouse in white clothes and yellow helmets . One of them is holding paper with histogram on it.